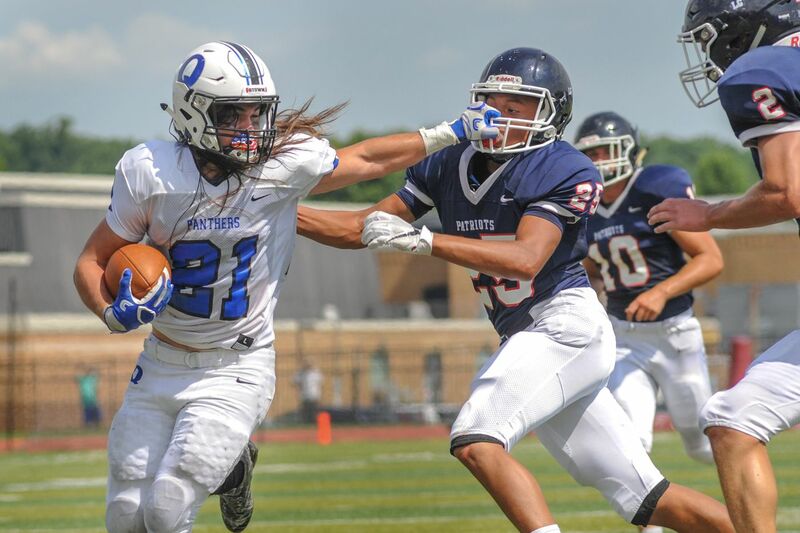 Michael Terra (21) and Quakertown host Central Bucks West at 7 p.m. Friday. C.B. West won last year's meeting by a 20-0 decision. Linebacker Tom Tobin and Marple-Newtown visit Central League rival Lower Merion at 7 p.m. Friday. Halfback Jake Ventresca (1) and Central Bucks East visit Bensalem at 7 p.m. Friday. Caleb Mead (24) and Upper Moreland host Upper Perkiomen at 7 p.m. Friday. Conestoga at Upper Darby, 10 a.m.
Luke Stengel (64) and Archbishop Wood (0-1) take on Bergen Catholic (N.J.) at 4 p.m. Saturday at Rutgers University.